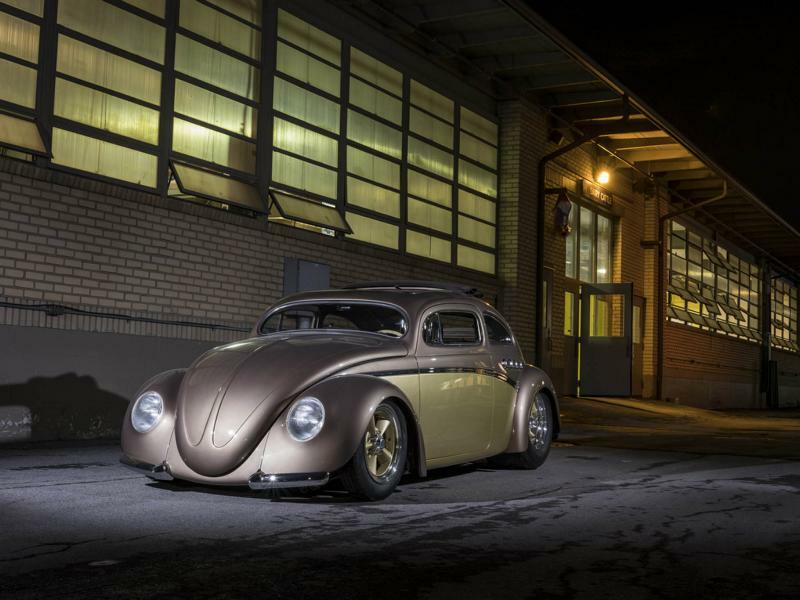 Hot rod builder Brown Metal Mods has released a 1967 Volkswagen Beetle restomod, complete with a new engine and other major modifications. The car was named “Project Buick”. The vehicle received a potent eight-cylinder engine, which the tuner installed straight into the cabin instead of the rear seat row. The team painted the unit gold and decorated it with carbon elements. The car also gained side-mounted exhaust pipes (the likes they used to install on the 1953 Buick Roadmaster-Bullaugen). The roof got lowered a bit (a practice known as “chopping”, popular in the mid-20th century). To guarantee safety, Brown Metal Mods added a roll cage and a fire extinguishing system. On the outside, the Project Buick sports a dual-tone paintjob and sits on gold-ish retro-style wheels suspended via an air suspension kit. If you think the VW Beetle Project Buick is here just for show (and no go), watch the video and be surprised.